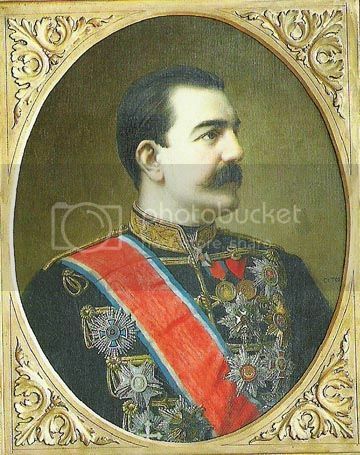 After the death of Prince Michail his cousin Milan(portrait above) came to the throne!He ruled as a Prince of Serbia from 1868-1882 and as the first King of Serbia under name King Milan I from 1882-1889!He was also forced to exile and to abdicate in favour of his only son Crown Prince Alexander!He in 1851 and died in Vienna in 1901 living a fullfilled life in exile! 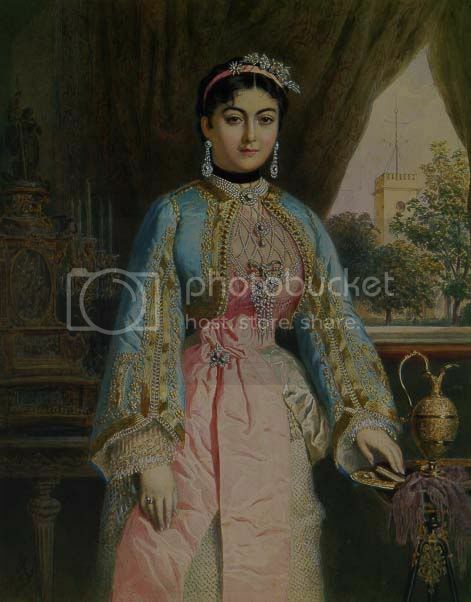 King Milan was married to a Russia Nathalie Keshko,who was a daughter of a Russian boyar Peter Keshko who owned a great land in Bessarabia and was very,very rich(Keshko family claimed they descended from Byzantine Comnenos dynasty) and Princess Pulcheria Sturdza who was from a ruling family of Moldavia!Although a love match at first site,Nathalie an Milan never a happy marriage!In the meantime they quareled so much that she had to be go out from Serbia for a while(always wanted to come back with happened during the reign of her son,but for a short time)!She settled in Biaritz in France!She had a great villa there(called ''Sashino''9witch is a casino today)!She became a Catholic,traveled through France and died during the Second World War in 1941 in Paris allmost forgotten! 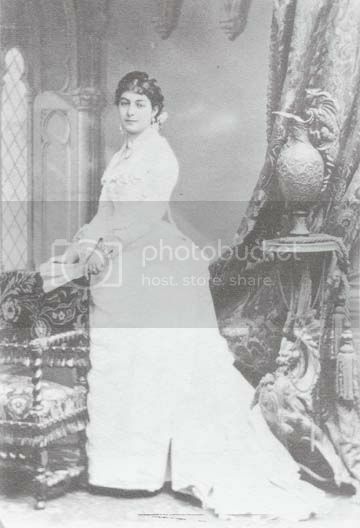 In these posts I will try to show the life of sad,unhappy and fogotten Queen Nathalie of Serbia though pictures! 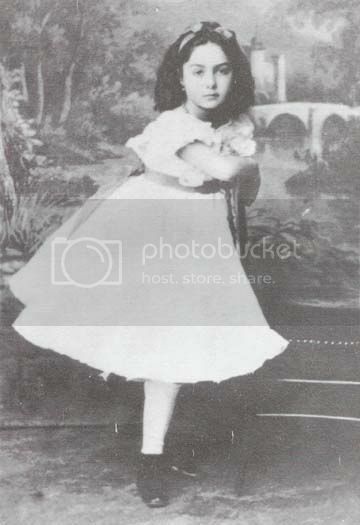 Nathalie as a little girl in Russia where she was raised! 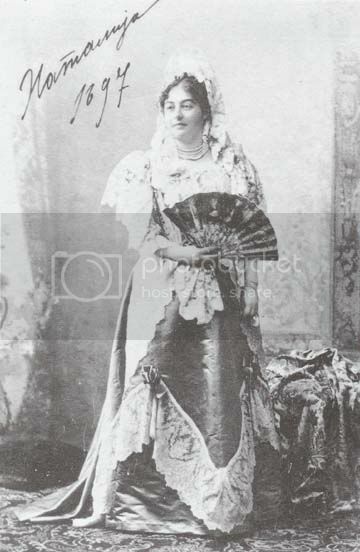 Nathalie as a Princess who married her second cousin Prince Milan(later King) of Serbia! 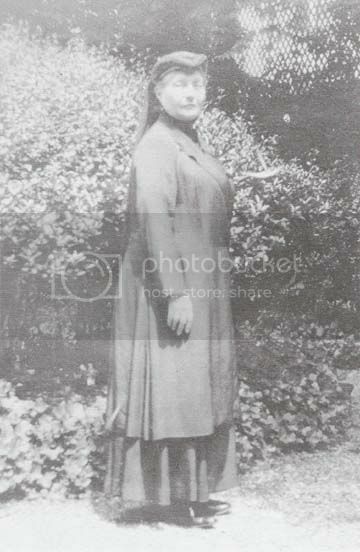 Nathalie as a Queen who was for the first time exiled by her husband!Next time she was exiled from the country by her beloved son who married her lady in waiting!This photo was taken in Biaritz where she already converted to Catholicism!